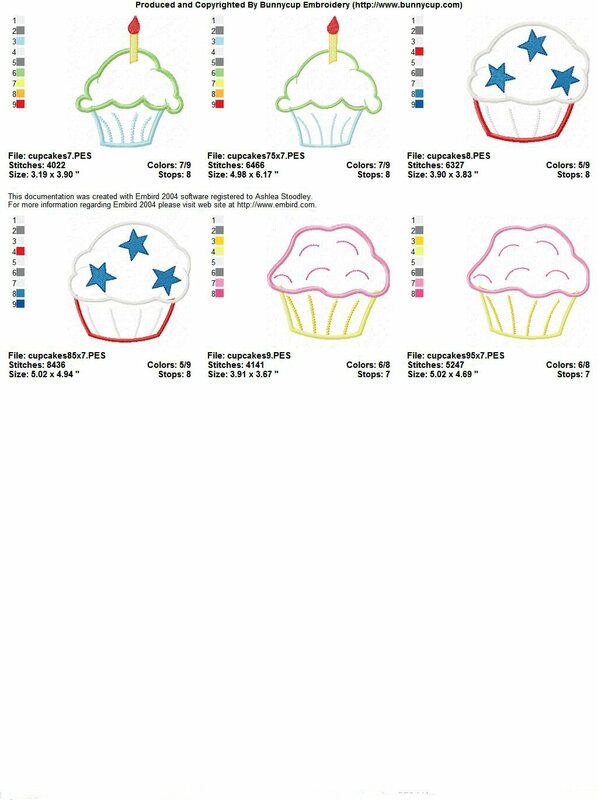 Pauline designed these sweet children's aprons using the Cupcakes set. Mandy makes these darling dress for customers - so cute and refreshing! Arla sent in this picture of a sweet apron she made for granddaughter. Too sweet! Stacey made this darling cupcake dress with one of our Cupcakes Applique. Christi sent in this darling dress made with Cupcakes Applique. 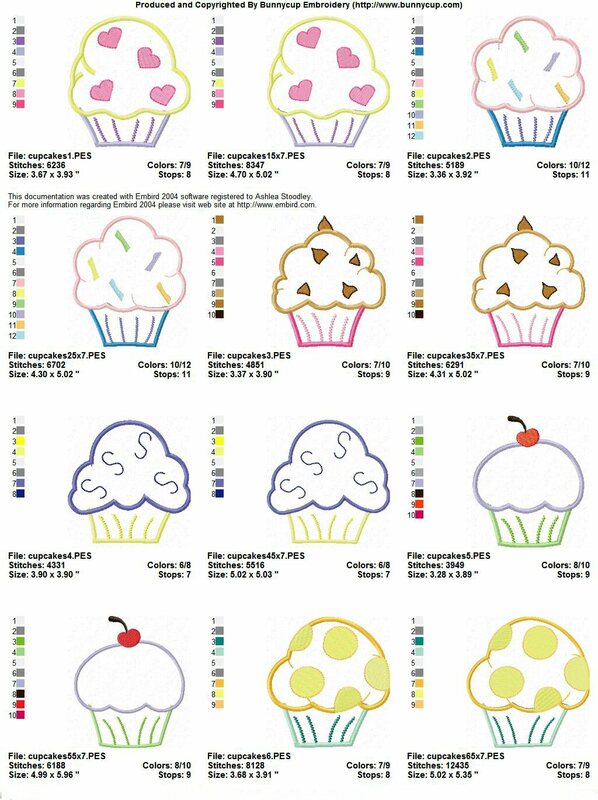 Autumn sent in these great pictures of fun shirts she made with the Cupcakes Applique set. Autumn has a great etsy shop - so be sure to check it out! Cathy sent in these wonderful pictures of a dress she made for her daughters third birthday using Cupcakes Applique. What a darling little model. Emily sent in this stunning dress she made for her granddaughters first birthday using Cupcakes Applique. So sweet! Cindy sent in this bright and fabulous kids shirt she made with a Cupcakes Applique design. Carol sent in this absolutely stunning apron she made using Lifes a Cupake and Cupcakes Applique designs. How eyecatching! Amber sent in this picture of an adorable burp cloth she made using Cupcakes Applique designs. Vicki sent in this darling girls outfit she made using Cupcakes Applique designs. Vicki has a lovely etsy store - so be sure to have a look! Karen sent in these pictures of wonderful products she made using Cupcakes Applique. Karen has a wonderful online boutique - so be sure to have a look! Fiona sent in this picture of a sweet tote bag she made with a Cupcakes Applique design. Pat sent in these pictures of adorable Aprongs she made for her granddaughters baking party. How absolutely adorable!